Summer may be coming to an end ( say it ain’t so) but looking fierce for the first day of school just got more interesting. 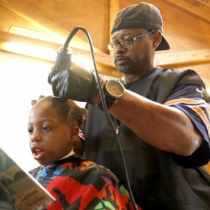 An Iowan barber offered the best back-to-school special around: free haircuts to kids that read to him. Courtney Holmes told Power 105.1 the free promotion is to help the community of Dubuque, Iowa prepare for the upcoming school year. And as for the eight minute stories as payment? 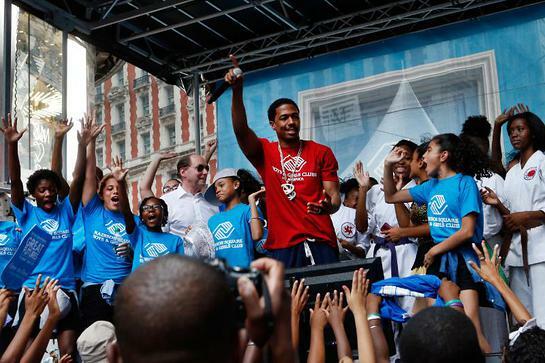 “I just want to support kids reading,” Holmes said in a statement. He’s not the only one. King James announced he’s working with University of Akron to sponsor 1,100 full college scholarships through his Family Foundation. The kids are required to complete the “I Promise” program of the foundation–vowing to maintain good grades and attendance, give back to the community–before getting the free ride. The children range from the third to seventh grades in the program. Current seventh graders are likely to take advantage of LeBron picking up the $9500 tuition tab, if the promise is kept. 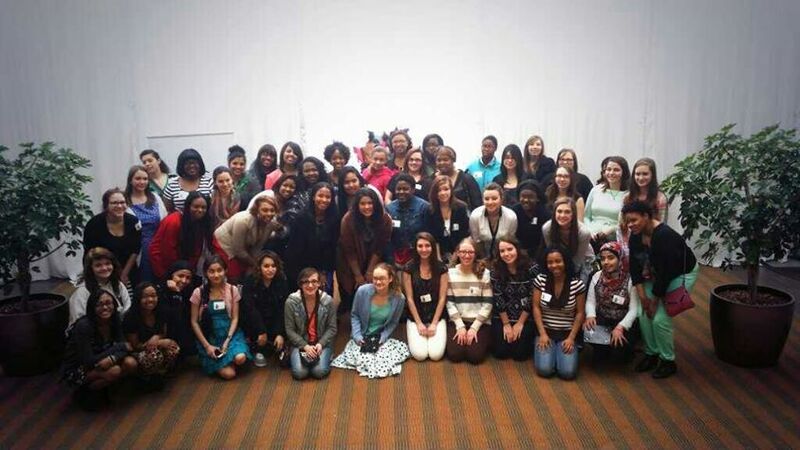 Savannah James caters to 50 girls dress needs with Prom Promise Event in Akron, OH. The penultimate glam milestone in a girl’s life is finding the dress memorable enough to recall prom at a future granddaughters’ request. 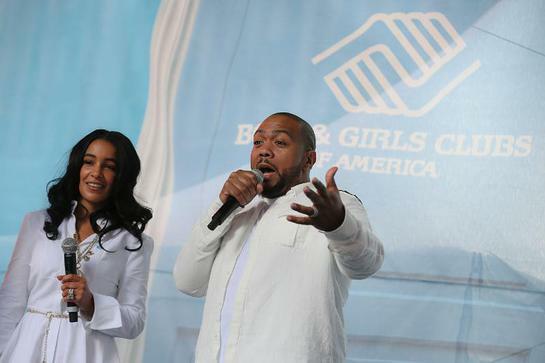 And not only did Mrs. LeBron James aka Savannah James hook up 50 lucky Akron, Ohio girls with pretty frocks, she loaned them her stylist for the second annual Prom Promise event (associated with LeBron James Family Foundation.) 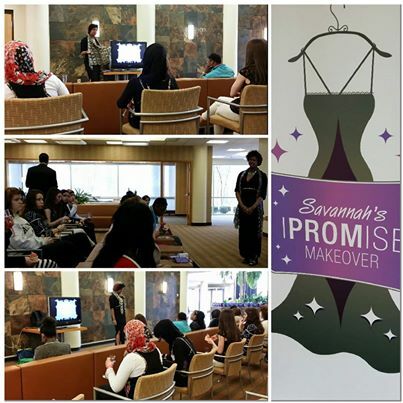 Stylist Alicia had a one-on-one consultation with each girl and gave a lecture on personal style and confidence. Alicia giving ladies style tips. I know how challenging life can be for young girls trying to find their way in high school, so this is a way for me to really connect with them during a special time in their lives and encourage them to embrace their beauty, knowledge and strength. LeBron and I are blessed to be in a position to give back to our hometown, and I feel a responsibility to help others comes with that. I believe strongly in empowering others, and, through this event, I hope to boost these girls’ self-esteem and give them confidence that they can be anything they want to be if they work hard and believe. Not only will the lucky ladies go home with a new dress, but Savannah also threw in Beats By Dre Headphones and an I Promise souvenir wristbands modeled after what NBA superstar LeBron James wears. 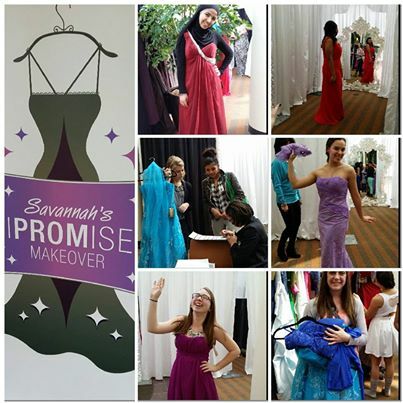 Savannah takes Prom Promise event to Miami in April. To donate gently used or brand new dresses to the event send them to LRMR Management Offices 3800 Embassy Parkway, Suite 360, Akron, Ohio, 44333. FASHION FRIDAY: Actor Jason Weaver dished on his designer friend’s new line of T-shirts that are raising awareness for the civil war in Sudan. 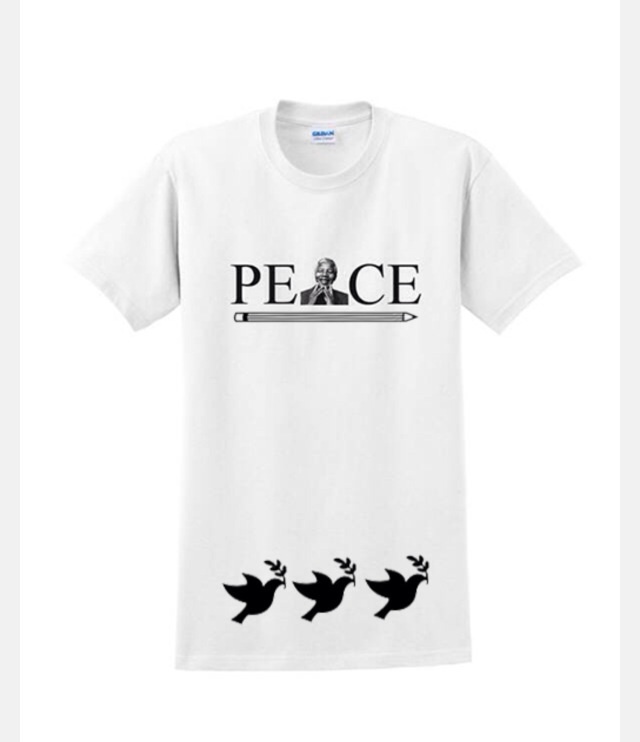 Any tee’s purchased from this website, 10% of money will go towards “Joining Hands for South Sudan,” an org that doles out basic necessities to women and children affected by the war. I wanted to take some time out to inform y’all of something that I think is pretty important and a worthy cause. Check it out.. My good friend and brother @de3ng has started a campaign to raise awareness about the civil war occurring in his homeland of Sudan. Deng is an amazing brother who has triumphed over many obstacles in his life prior to him coming to the United States and he is now a respected figure in the ATL fashion community.